Admirable goals for hospitals often include improving patient care and reducing spend. A goal without a plan is only a wish. Now, more and more hospitals are enacting strategies and processes within supply chain to provide better care, to utilize data to forecast and to be more proactive, and to operate in a more lean fashion to reduce wasteful spending. One revolutionary strategy is to instate Value Analysis. With a value analysis process, it is simple to understand inventory. The inventory might consist of dead stock, expired products, or too few products; all of which lead to delivering poor care to patients. Paavola states “by automating supply processes in the OR, supply chain leaders can ensure product availability to avoid case cancellations,” and other negative impacts. Instead, of cancelling surgeries or using expired products, value analysis will track products and data so the hospital will feel confident in the care they are providing knowing that they have the best products for their patient population. 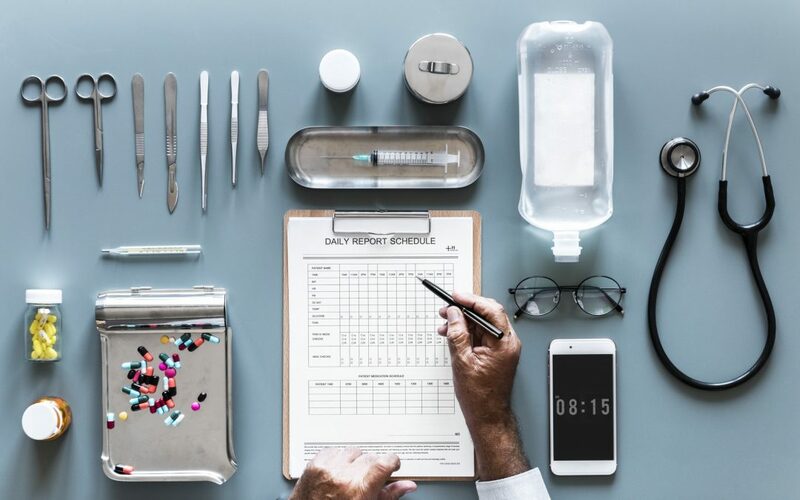 The Value Analysis Committee (VAC) and Supply Chain may focus on evaluating all product attributes, indications, contraindications, and financial analysis while physicians focus on caring for patients. An added major benefit is the ability to track the product data and status during the evaluation process. Think how one would track a shipped package; it is helpful to recognize exactly where the product is in the evaluation process from submission through approval for purchase and use. Having said that, tracking products, understanding product efficacy, and making proactive, well-informed decisions are impossible without data analytics. Securely stored and accurate product data should be used to make smarter financial and savvy operational decisions. Product data includes any data point such as model number, price, outcomes tracking, and much more. All data points aid in telling a story to help the hospital understand the clinical benefits. With this data, the hospital can turn financial and clinical analytics into information for reporting, improving their operations, and providing better care. If data analytics can be communicated effectively, there will be more interoperability and streamlined communication, aligning hospital team members at once. It is crucial to make decisions based on accurate data, and many hospitals are now making smarter purchases for their patient population while maintaining fiscal responsibility. Finally, deploying supply chain strategies allows departments to cut down on over ordering, lowering the amount of dead stock and expired inventory. Bulk ordering is another strategy worth employing when appropriate to reduce unnecessary spending. In fact, Value Analysis Committees and departments may carefully manage inventory; evaluate products’ clinical and safety benefits; confirm regulatory data, and thoughtfully compare multiple products against one another to ensure proper purchasing habits for their functioning needs. This plan should also include e-documentation regarding populations’ needs and estimated frequency of use so supply chain knows how much to order, how often, and what sizes to have readily available. Hospitals will thrive off of using data analytics to operate. Having a formal process aligns departments so that the system may operate more smoothly and efficiently. From our findings at GreenLight Medical, it is crucial to effectively manage supply chain data with a process, such as value analysis, to improve patient safety and to meet financial goals. If your hospital would like to learn best practices, click here to learn how GreenLight Medical will help you reach your financial and supply chain goals with a value analysis process.